That ghoul-like sheen on the asteroid Vesta, as seen in the image above, is not some leftover of Hallowe’en. It’s evidence of the mineral olivine. Scientists have seen it before in “differentiated” bodies — those that have a crust and an inner core — but in this case, it’s turning up in an unexpected location. Finding olivine is not that much of a surprise. Vesta is differentiated and also (likely) is the origin point of diogenite meteorites, which are sometimes olivine-rich. 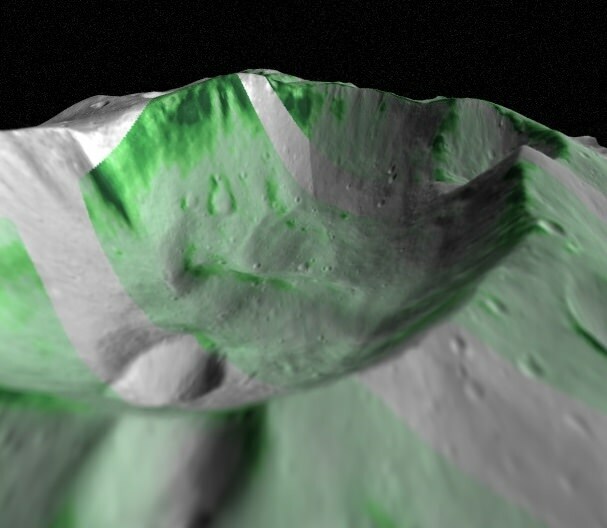 Researchers expected that the olivine would be close to the diogenite rocks, which in Vesta’s case are in areas of the south pole carved out from the mantle. NASA’s Dawn mission to the asteroid did a search in areas around the south pole — “which are thought to be excavated mantle rocks”, the researchers wrote — but instead found olivine in minerals close to the surface in the northern hemisphere. These minerals are called howardites and are normally not associated with olivine. So what is going on? “A generalized geologic history for these olivine-rich materials could be as follows: ancient large impacts excavated and incorporated large blocks of diogenite-rich and olivine-rich material into the eucritic crust, and subsequent impacts exposed this olivine-rich material,” the researchers wrote. Dawn, by the way, has completed its time at Vesta and is now en route to another large asteroid, Ceres. But there’s still plenty of data for analysis. 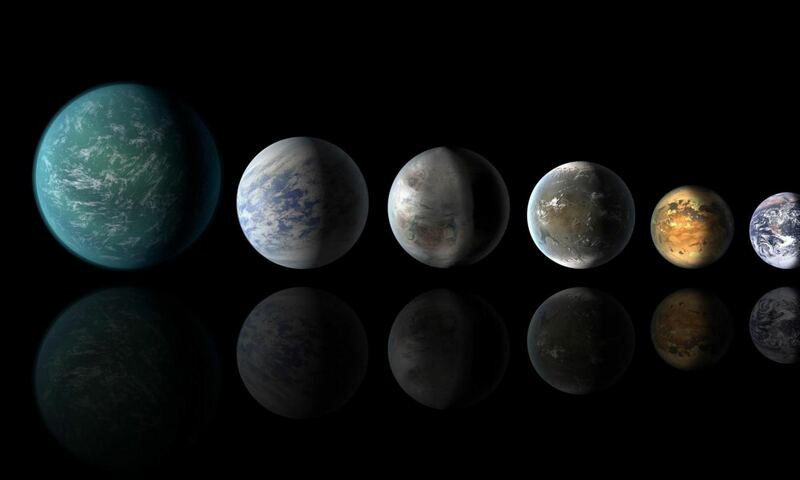 This particular research paper was led by E. Ammannito from the Institute of Astrophysics and Space Planetology (Istituto di Astrofisica e Planetologia Spaziali) in Rome. The research appears in this week’s Nature and should be available shortly at this link.